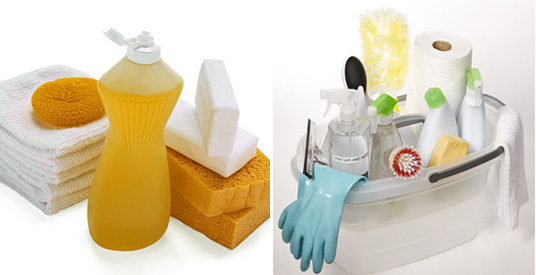 Whether it is a commercial kitchen or a home kitchen, kitchen cleaning supplies are of utmost importance. The health of the customers in case of commercial kitchen, and that of one’s near and dear ones in case of a home kitchen, is dependent on how clean the kitchen is. However, along with being concerned about the health of humans, we should also be concerned about the health of Mother Nature. It is obvious that any harm to Nature is ultimately harmful for us. Cleaning supplies are made of a lot of harmful chemicals that are bound to harm the environment. Therefore, it is very important to get trained for using eco-friendly kitchen cleaning supplies. Such types of supplies not only benefit the environment, but also bring about better health, safety of food and money. There are several studies which show that the use of eco-friendly kitchen cleaning supplies has resulted into fewer sick leaves. It is a good thing that eco-friendly cleaners are getting more and more popular these days. And there is a wide variety of them available in the market. Their costs too are comparable to the regular cleaners. Unfortunately, sometimes a lot of noise is created about some products that they are eco-friendly, but actually they are not, because they contain hoards of toxic chemicals. It is necessary not to get deceived by words like ‘environmentally friendly’, ‘green’ and ‘bio-degradable’. It is necessary to get more and more knowledge about the truly eco-friendly kitchen cleaning supplies. You can observe certain things to adopt eco-friendly cleaners for your kitchen. Use minimum amount and variety of cleaners. See to it that you use only the quantity needed to accomplish the cleaning task. Remember that most of the things are cleaned with a regular cleaner or even no cleaner at all. Proper disposal of unneeded and unused cleaners and chemicals is very necessary. Reputed organizations certify truly harmless and eco-friendly cleaners. Purchase only such certified cleaners. Even in case of paper products, you can observe same rule; see to it that you buy only certified paper products. If you are unable to find a certified or environmentally friendly cleaner or other products, contact the manufacturer of the product for more information about its contents, usage, disposal and harmfulness. Strictly avoid using cleaners which contain hazardous toxic chemicals. Use anti-bacterial soap only if it is required by law. 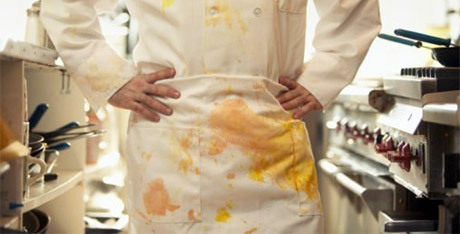 Avoid using cleaners which have warning, such as, ‘Danger’, ‘Caution’ or ‘Poison’, written on their labels. You can pay more attention to the entrances of the building, because it is the entrance for the dirt too. Minimize the use of chemicals in air. Instead of spraying cleaners on a surface, spray them on cloth. Also you can use the sprays directly rather than through misters. Micro fiber cloths and mops decrease airborne particles. Increase their use. There are many groups which give training for eco-friendly kitchen cleaning supplies. The programs include floor care, vacuuming, restroom cleaning, chemical use, disposal of chemicals and practically everything that deals with kitchen cleaning. You can attend such programs to know more about environmentally friendly kitchen cleaning supplies.